Romy and I travel quite a lot. To make it as comfortable and easy for her, I like to dress her down. She usually loves to wear her PJ’s or sweats. 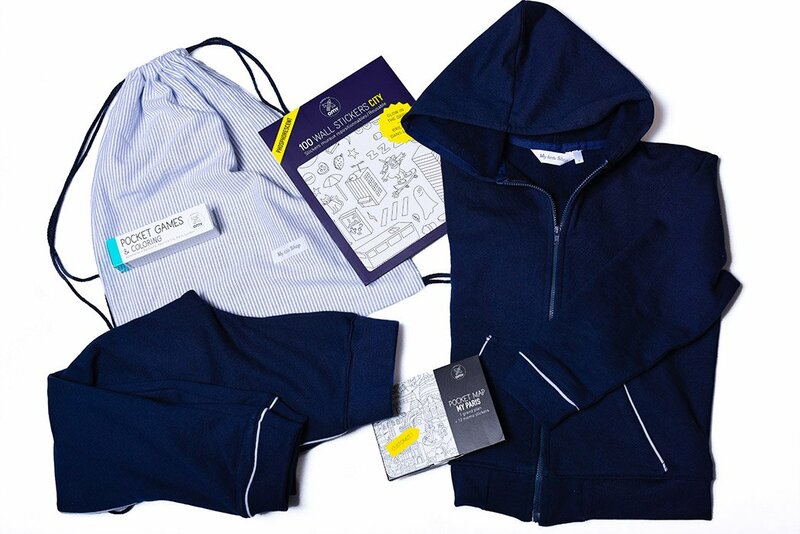 One of our favorite sleepwear brand just came up with a travel kit, that suddenly makes the “comfortable” look stylish with their elegant, and comfortable tracksuit set, for boys and girls. Coming with an embroidered and personalized drawstring back, it makes the perfect gifts for mommies and kids constantly on the road! – 1 pocket games & coloring with a multi coloring pencil.